Tracy! Come on down! (er, not sure where?) You are the winner of this beautiful hair flower. 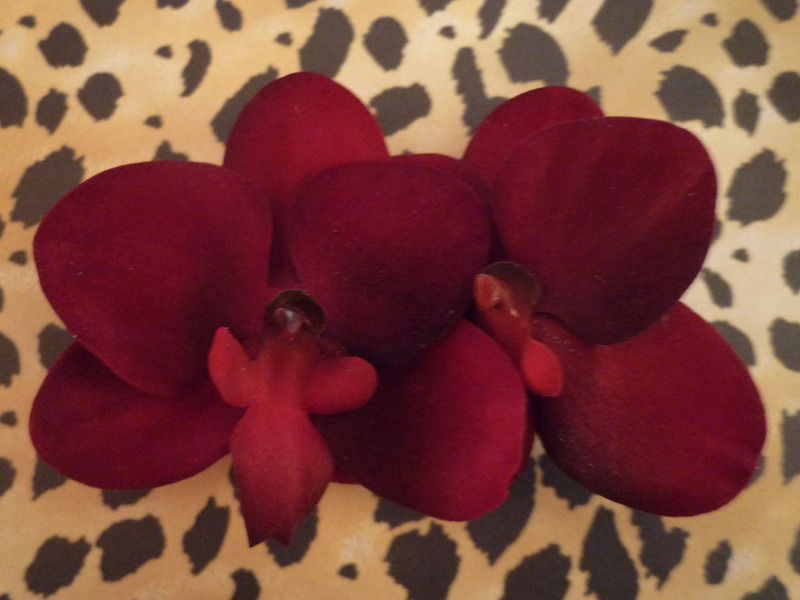 E-mail me your address at queenofquirky at gmail.com and I will send you your red flower hair clip. Special thanks to Greta’s Pretty Things for providing this lovely accessory as a give-away. Maybe we’ll show up out at the Brooksider or Hoopers wearing our flowers on the same night. That would be sw-eet! It was made just for me by request. Because I’m special. Oh, the possibilities are endless. You might wear it everyday. Greta of Greta’s Pretty Little Things made one extra clip for one of my lucky readers. Now isn’t she just as sweet as pie? You should check out her etsy store. It’s got lots of pretty little things. You should pick out what your favorite thing is (Don’t be shy. It’s ok to like the pasties.) and then you should leave a comment telling me which item was your favorite. You should also mention the places you would wear the flower hair clip. Then, on January 26, I will randomly pick one of you to win the clip! Just in time for Valentine’s Day. Because Greta and I are nice like that.